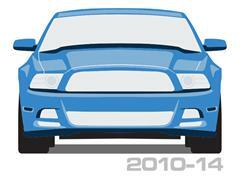 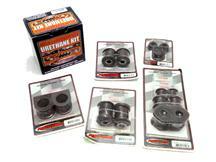 Tighten up your Mustang suspension with new urethane bushings from Prothane. 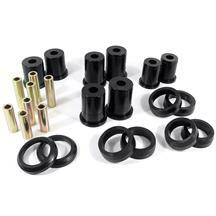 Upgrading your worn and torn factory bushings to urethane is a great way to get better handling, cornering, and suspension performance. 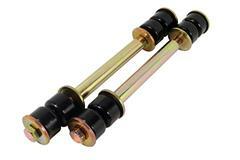 Worn out bushings can cause your Mustang to clunk, chatter, handle poorly, and reduce the amount of power you put to the ground. 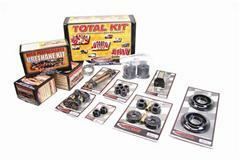 Take your pick from bushing for your front control arms, steering rack, strut mounts, sway bars, end links, rear control arms, spring isolators and much more. 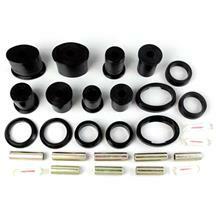 Get all of the bushing you need to save time and money in a total bushing kit! 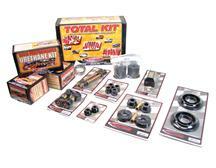 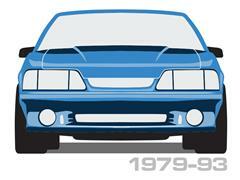 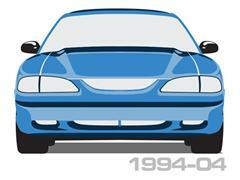 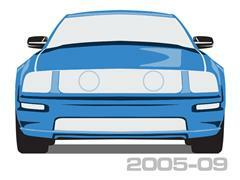 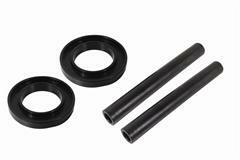 This kit features all of the needed bushings to restore your Mustang suspension. 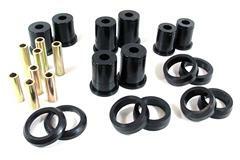 These Mustang Urethane Bushings Fit: 1979, 1980, 1981, 1982, 1983, 1984, 1985, 1986, 1987, 1988, 1989, 1990, 1991, 1992, 1993, 1994, 1995, 1996, 1997, 1998, 1999, 2000, 2001, 2002, 2003, 2004, 2005, 2006, 2007, 2008, 2009, 2010, 2011, 2012, 2013, 2014 Mustangs.